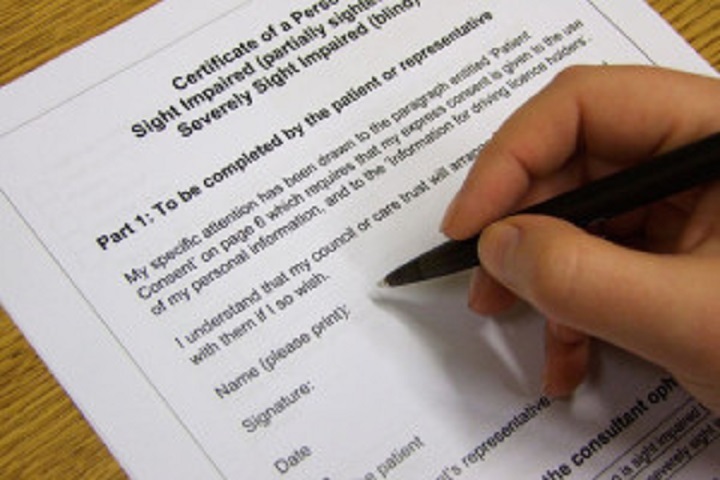 What exactly is sight loss registration? Here we offer you a quick guide to the process and what to expect. Registration simply means being on your local Social Service’s register of people who are either severely sight impaired (blind) or sight impaired (partially sighted). It is completely voluntary and you can choose not to be registered, although it is often easier to get help and support if you are. The benefits of registration include tax allowances, leisure discounts, help with NHS costs and many other things. Patients seen at York Hospital Eye Clinic will be offered a referral to see Vanessa Camp, the Eye Clinic Liaison Officer. Vanessa works for MySight York but is based in the Eye Clinic. She will send a copy of your CVI to MySight York so that we can make you aware of the support and services that we offer.